Denver is known as one of the best cities in the country to work hard and play hard–with most of the “play hard” activities taking place outside. But when it is a cold or rainy day, sometimes the Denver activity options seem a bit less abundant. 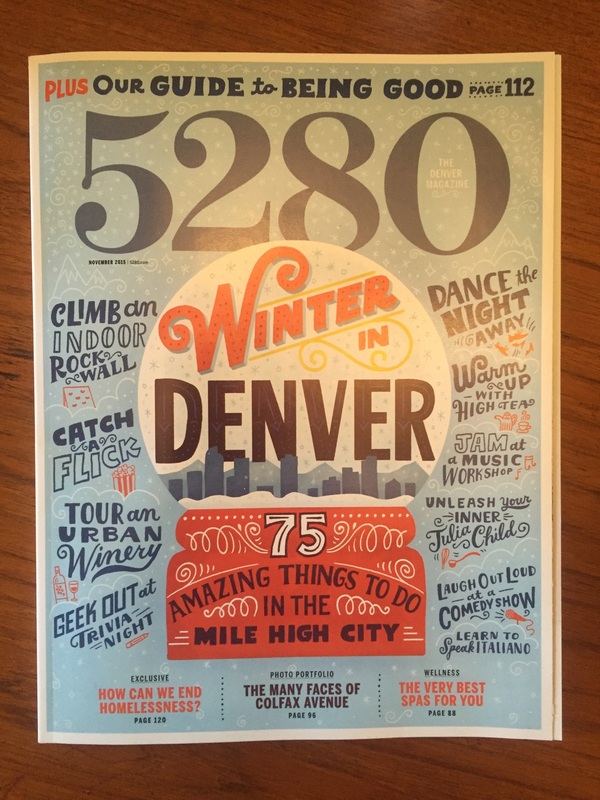 Thankfully, just in time for winter, 5280 Magazine’s latest cover story features 75 things to do in the Mile High City inside on cold and wet days. From climbing an indoor rock wall at Movement Climbing & Fitness, to touring a Good local distillery (which I’ve featured on this site here), building a banjo (in Boulder), playing trivia (all over town), taking a music lesson, and more, author Lindsey Koehler included a little something for everyone. I plan to pull out this article for some Good ideas the next time I’m getting stir crazy on a cold and wet Denver day, and I think you’ll enjoy it too! Click here for the full article.